Too-small teeth? Misshapen teeth? Cracked or chipped teeth? Spacing irregularities? These problems are all-too-common among patients, but you don’t have to live with them! With the advances of cosmetic dentistry in Arlington, there are fixes for these vexing tooth troubles! 1. Veneers. These extremely thin shells are custom-made so the size, shape, and color are perfectly matched to your surrounding teeth. The veneers are securely cemented to the front of the teeth to dramatically brighten your smile. 3. Recontouring. The minimally-invasive reshaping of a tooth by removing small bits of enamel to improve the shape or length. This cosmetic dentistry procedure is sometimes called odontoplasty or slenderizing. 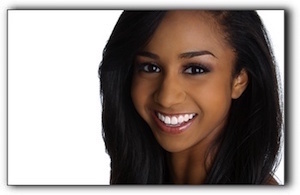 Countless dental patients have achieved remarkable smiles with a cosmetic dentistry in Arlington from Stephen Ratcliff Family & Cosmetic Dentistry! At our practice, we are dedicated to helping our patients have optimum oral health and beautiful smiles. If you have any questions about veneers, bonding, recontouring, or crowns, our friendly team invites you to call us at 817-274-7875 to make an appointment today.